When you have dentures, your anxiety about the appearance of your teeth disappears. One of the great things about this treatment method is that it helps to erase a lot of the flaws that make people self-conscious. After you have this cosmetic dental procedure, you will be eager to show off your grin again. If you are currently missing teeth you likely face some challenges when you eat. Since dentures fill in the gaps with materials that look and perform like real teeth, you can eat whatever you want again. Another problem that people with missing teeth or other oral health issues often face is mumbled speech. That can lead to a lot of confusion and frustration for both you and the people you speak to. Fake teeth eliminate most speech issues the minute they go into the mouth. Unlike some of the alternatives, dentures are a long-lasting solution. However they do require some care and maintenance. And after between five and ten years, they will likely need replacement. But they will provide a dependable, total solution for as long as you need them. Since dentures are designed to be taken in and out of the mouth, they do not offer an airtight fit. As a result, it is possible for dentures to move slightly in the mouth. For most people this is rare and a minor annoyance at worst, but it is an issue to be aware of. 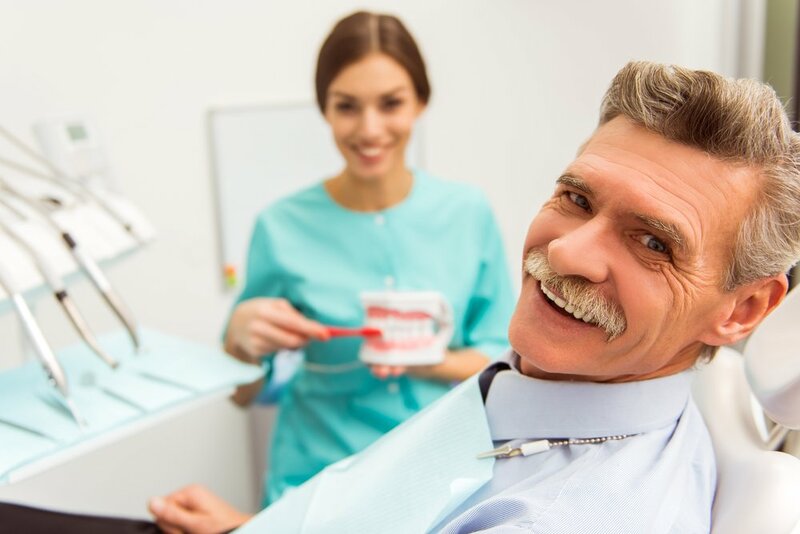 In order to keep your dentures looking and performing like you want them to, you will need to stick to a fairly extensive maintenance routine. This is on top of what you do for your natural teeth. It is fairly easy to make care of your dentures a regular habit as long as you are diligent. If you are ready to transform your smile, dentures are an option to consider. Schedule a dental consultation with the experts at Florida Dental Rejuvenation by calling 561-203-4716 today.